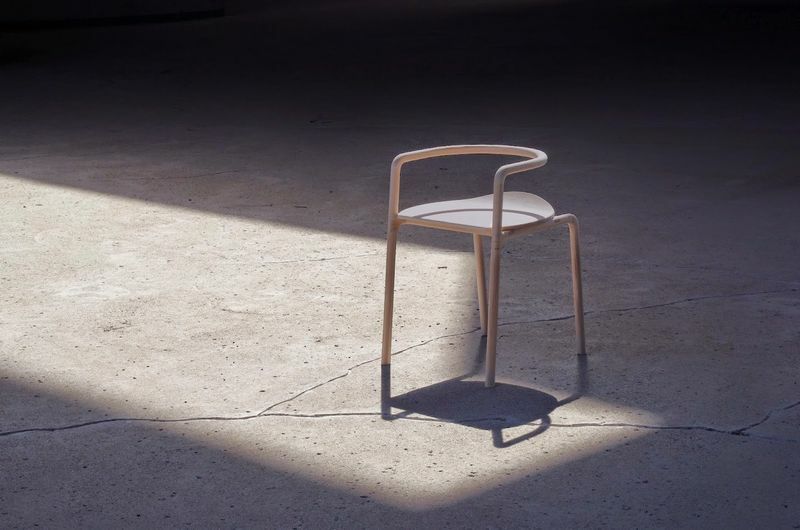 Premiering at the 2015 Architectural Digest Show in New York City, the Funambule Chair is a handmade piece created in the vein of traditional Japanese furniture. 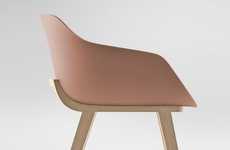 Designed by Loïc Bard and Nicolas Granger, the Funambule Chair has a streamlined design that sees the back support, arm support and front legs create a single continuous line. 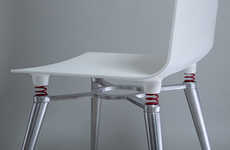 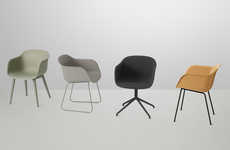 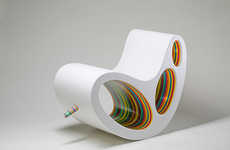 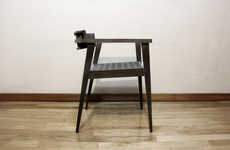 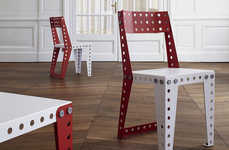 The Funambule Chair is extremely lightweight and has no splats or rails to support the back of the chair, a unique element that adds to the poetic design approach. 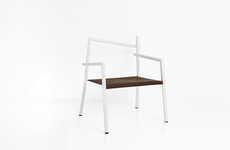 The ash wood used in the creation of the Funambule Chair is soaked in water and steamed in order for it to be bent into a half circle, and is finished with either clear natural oil, stained white or black natural oil.